This is the fourth in a 5 part series on animals that made the Toronto news in 2012. While these stories are local, the issues they present are global, each one asking us to scrutinize and reassess our relationship with captive wild animals. 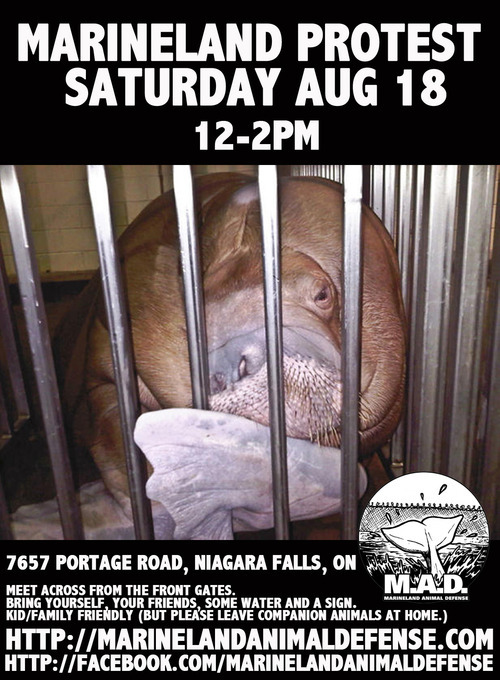 This led to a Star investigation and full expose’ on the treatment of animals at Marineland. The former employees reported that lack of corporate support had resulted in extensive animal suffering. The aquarium, they said, was plagued by ozone leaks, dangerously toxic water, and understaffing that, despite the staff’s best efforts, resulted in animal neglect. The effects on the animals were extreme. Video, photos, staff accounts, and Marineland records revealed a sorry tale of animals with their eyes and skin blistered and burned by toxic water, animals being held for long periods in pens and barns with no stimulation; and the horrific death of baby beluga Skoot after a brutal two-hour assault by two adult male belugas. In addition to the health problems highlighted by the staff, Marineland’s lone orca, Kiska, is of specific concern. Since the male orca, Ikaika, was returned to SeaWorld in November 2011, Kiska has been the lone orca at Marineland. Orcas are social creatures that require companions of their own species in order to thrive emotionally. 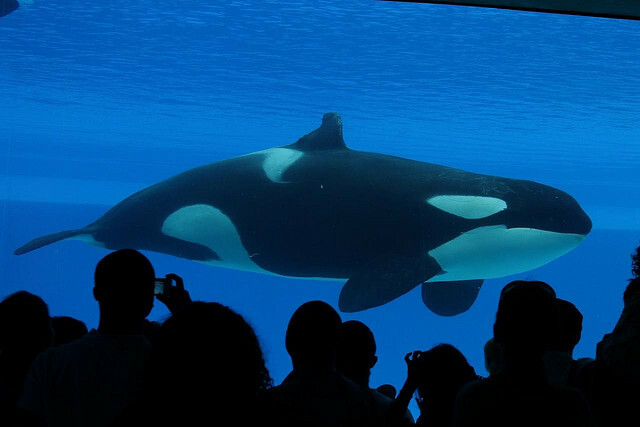 The Canadian Association of Zoos and Aquariums disapproves of keeping orcas alone and the practice is banned in the U.S. In November CAZA announced that Marineland is trying to acquire another orca to keep Kiska company. Since the whistle was blown, the OSPCA, the Niagara Falls Humane Society, the Canadian Association of Zoos and Aquariums, and the The Environmental Ministry have become involved in the case. Even famed, Ric O’Barry, founder of The Dolphin Project and star of the Academy Award-winning documentary The Cove about dolphin killing in Japan, weighed in. As well, the public has been vocal. Right after the news broke, some 400 protesters staged a demonstration across from the main park entrance to demand an end to all live animal performances and displays inside the park. 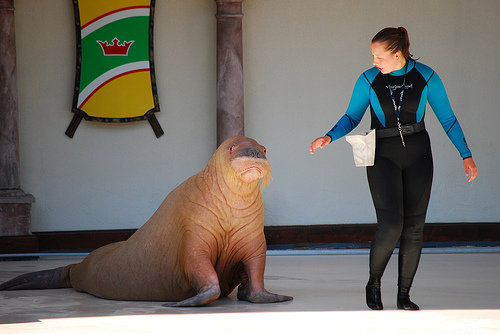 Suzie McNeil, the singer who recorded Marineland’s famous jingle, asked that her voice be pulled from the commercials. Since then, more stories about Marineland have surfaced – Just last month, mass animal graves were discovered on the Marineland property. These allegedly hold thousands of animals are being inspected by the provincial Environment Ministry. While it is not unusual for animals in a zoo to die and be buried, the ministry says it had no record of the graves because the park has no permits. And there is backlash as Marineland sues former trainer Christine Santos for $1.25 million for statements she made to the Toronto Star about Kiska. Santos appears in the long-running “Everyone loves Marineland” commercial kissing a beluga whale. 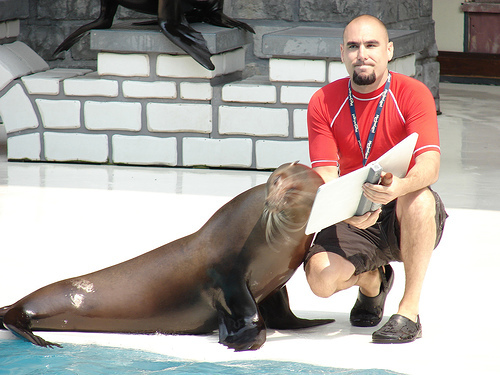 For the full account of the Marineland story, see the Toronto Star’s continuing coverage.